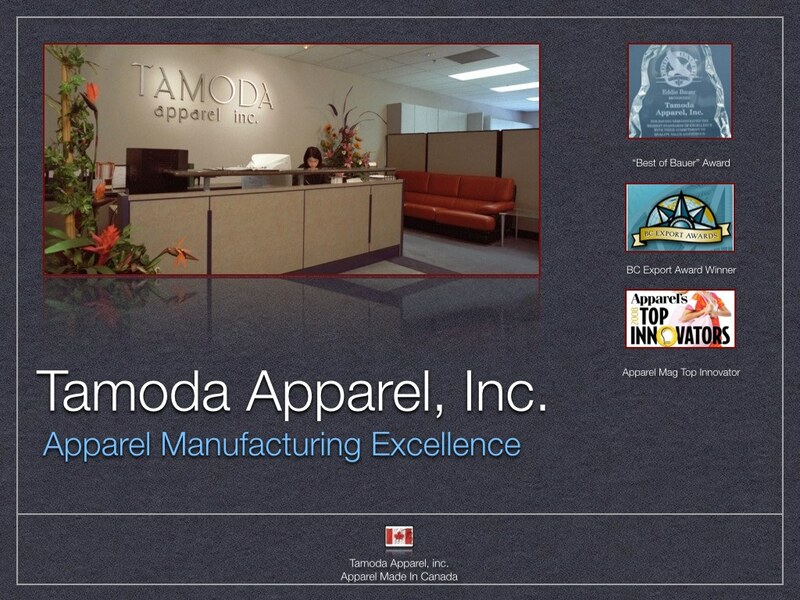 Welcome to Tamoda Apparel, inc. located in Vancouver, British Columbia, Canada. We manufacture, design, and develop technical outerwear for companies such as: Patagoina, Cabelas, and Canada Goose and have been doing so for over twenty five years. In addition to our main factory and headquarters in Canada, we have a strong network of joint-venture operations located in Vietnam, Taiwan, and China that afford a critical variety of sourcing options to our partners. We look forward to talking with you regarding your design, development, and apparel manufacturing needs.